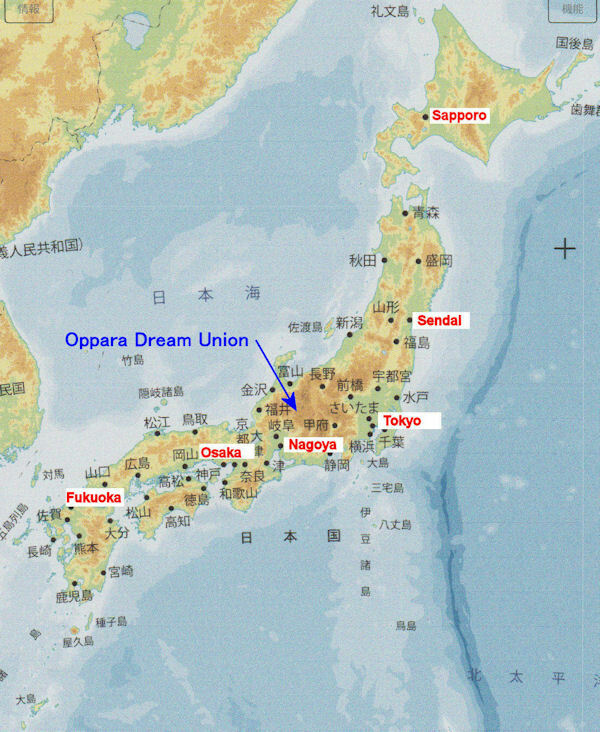 Oppara Dream Union manages camping site and nature experience events near the road station "Pascal Kiyomi". It is in the mountainous area of the western side from Takayama-city where old Japanese streets remain. There was a small gold mine nearby. You can experience gold panning in the pool at the Nature Experience Center and you can receive guidance on mineral collection in the river. The “Hida-takayama Gold Panning Championship” is held once a year.